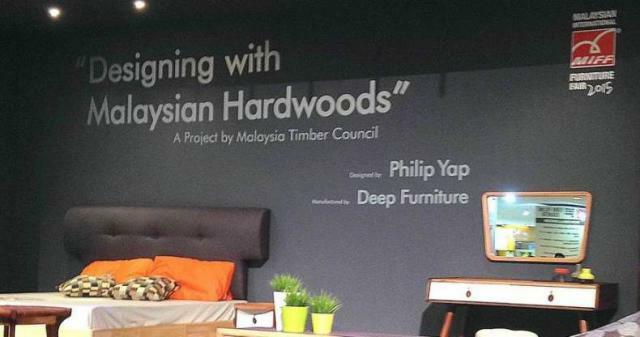 KUALA LUMPUR, April 08 | Despite tough market conditions, the Malaysian International Furniture Fair (MIFF) rang up its second highest sales ever of US$865 million as it concluded its recent Mar 3-7 show on a positive note. Organised by UBM Malaysia, the five-day annual event which kicked off the furniture buying season in Asia and Southeast Asia’s biggest furniture event featured 508 exhibitors from 15 countries, with 10% new exhibitors, at the Putra World Trade Centre and Malaysian Exhibition and Convention Centre. The upbeat mood and busy networking in the trading halls were buoyed by quality buyers and the strong presence of first-time buyers making up a third of the 18,000 attendees from 130 countries and regions. Last year, the show, renowned as a quality and value-priced market place with extensive selections, recorded US$892 million orders with nearly 20,000 visitors from 141 countries and regions. According to the organiser, buyer traffic to MIFF 2015 was relatively steady from the following regions -- North America, Middle East, Australasia, South Asia, Southeast Asia, East Asia and Latin America – except Europe and Africa with significant drops from Russia, Ukraine and the Ebola-stricken West African states. Despite concerns over the surging US dollar and slump in oil prices, exhibitors were in positive mood as high quality buyers continued to dictate orders and first time attendees drove new business. MIFF is part of a dozen key industry shows in Asia owned by UBM that includes Furniture China, Index Trade Fairs Mumbai, Indonesia International Furniture Expo and FIDexpo in Russia. Next year’s MIFF is set from Mar 1- 5 at the same venues. Interested exhibitors can contact MIFF Sales Team at sales@miff.com.my.